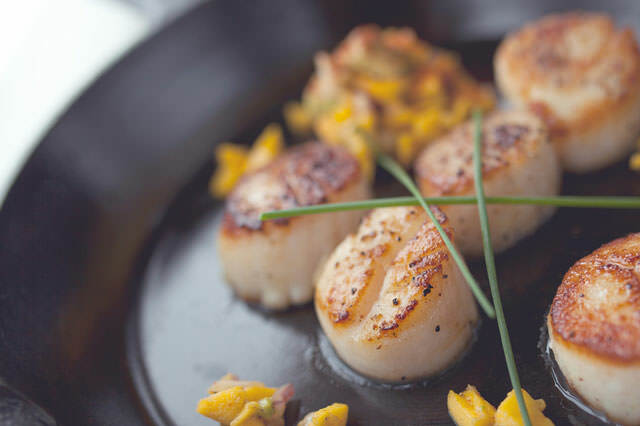 Combining seafood and fruit was never as fun and as delicious as with this scallops and salsa recipe your entire family will like. It is also a perfect romantic dinner for couples who want to stay healthy and fit. Roasted asparagus makes for the ultimate side dish. Combine the mango, pineapple, cucumber, cilantro, bell pepper, jalapeno and lime juice. Season with salt and pepper. Coat a heated large pan with cooking spray or some olive oil. Salt and pepper the scallops and then add the scallops to the pan. Make sure they are not too crowded and do two rounds if needed. They should take 2 minutes per side or until golden. Serve the scallops on warmed plates and pour salsa over them.